Is hell real? Only for those who prefer to see the Light of God as darkness. Our lives are often quite “hellish” precisely because they are not real, not authentic, not sharing in the common life that can only come from the Lord and Giver of Life. 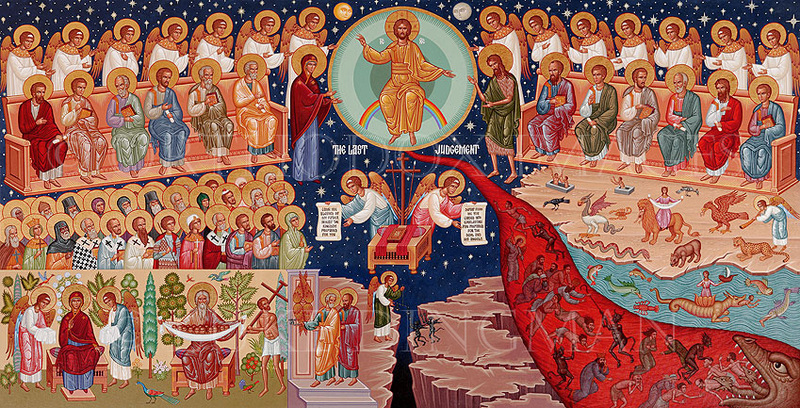 Tomorrow is the Sunday of the Last Judgment on the Orthodox calendar. I thought these words might provide some reflection for the day. Insanity is certainly a hellish experience. For more thoughts on this aspect I encourage you to read God’s Path to Sanity by Dee Pennock. It is recommended by Fr. Thomas Hopko. It also reminds me that Christ is truly what a human was intended to be. We become really human when we become more like Christ. “To err is human” is an incorrect understanding of what our humanity was actually intended to be. It is Christ that demonstrated what it means to be truly, really, and fully human while at the same time being fully God. The alternative of not being like Christ is what C.S. Lewis and Fr. Thomas Hopko often speak about as the Abolition of Man. Thnx!, I notched that Florovsky and Zizioulas have an understanding of ‘Hell’, ( or lake of fire of which Hell and Death are thrown ), that is outside a platonic necessity of needed oneness, harmony , nonacededence, etc.) …., I know there are variances in this , like quoting Origen for universalism ( which Zizioulas shows was early in Xtian thought and bound to necessary Platonism …), but if ‘ hell is thrown in lake of fire, maybe the lake is where all this ‘ I do not know youness is the question , not hell ? Are there any Orthodox statements or good theological speculations about what the experience of Hell will be like for an individual? Will there cease to be subjective experience at all as the damned fall into insanity? Is it possible for the damned to feel pleasure or satisfaction? There are no such theological statements, nor do I think that there could ever be. I thought as much. Coming from a western understanding, my greatest struggle with Hell has always been imagining that there will be souls forever experiencing the greatest horrors imaginable. My heart sinks at such a thought. It has been a question for me as to why God does not just allow those who choose darkness over light to pass into non-existence. There is at least the possibility that we will be able to return to Him in the fullness of time. The idea that heaven and hell are “real” in the same sense partakes of a dualism and a three storey approach which is a temptation that we humans like very much. We cannot seem to accept the reality that God is in ALL places and fills ALL things (seen and unseen) including us. The incredible intimacy of our communion with Him and one another can be tough to bear unless we are unafraid to let the lights come on in the fetid darkness of the septic tank of our souls. May God forgive my love of darkness and separation. Good teaching, Father! As my Baptist neighbor says, “That preaches.” The sign you refer to suggests a gnostic dualism, definitely not Biblical and not what the Fathers teach. Ontology, the study of being, is at the heart of all of this, and offers answers on some things. We exist, we have being, because God gives it to us. He is the ground of being and the reason things, all things, have any existence. I saw the example recently that compared us to “light bulbs.” If we have electricity, we shine (being). If the electricity is turned off, all of the lights go out (at the same time). The universe is like a single bulb – it exists because God gives it being. It is His goodness and His kindness and His generosity. Nor does He begrudge us our existence. Hell is not punishment. He is not a God who requires or needs punishment. Hell is a word for the consequences of trying to live in the darkness. He does not “add” anything to make our hell. He doesn’t need to. God “is not willing that any should perish,” the Scripture says. I assume that the being we have, even when we’re in a sad state, is good and a gift. God does not take His good gifts away. St. Isaac suggests that eventually that goodness overcomes all things. It is not something we can know – it’s not been given to us to know. But I like St. Isaac’s reasoning and spiritual insight in the matter. The first chapter of Ephesians seems to suggest a similar hope. Matthew Galltin on Ancient Faith Radio has an excellent podcast on the annihilation of the soul as espoused by his former denomination (Seventh Day Adventists) and other groups. He answers why this doctrine cannot be true from his perspective as an Orthodox Christian philosopher. It’s found in his series on Sola Scriptura #19. I fear it is we humans who want a hell that is punishment – for others, of course. Yet I have been reading St. Silouan and his emphasis on love of enemies as essential to Christianity. If we accept this gift of the Holy Spirit and truly love our enemies, we could never want hell for them. I guess I’m confused. I realize that in this day in age, it’s fashionable to believe that all dogs go to heaven. But wasn’t Origen condemned by one of the Ecumenical Councils for teaching that all will go to Heaven? Father, thank you. My question comes, of course, from my own darkness–what is logical from a human logic. God loves us. That I know. He longs for all of us to be with Him as He is with us. It takes, IMO, a lot of continuous, concentrated effort on our part to ignore Him. As soon as we let up–there He is tapping us on the shoulder and reminding us He is still right there. His love makes it impossible to disappear and always gives hope even for the cantankerous, contrarian crumudgeons like me and even for those whose hearts seem to have been stolen by the evil one. It is far more simple than we tend to make it. It is fashionable indeed. I hate the idea of even one going to hell. But I have to trust that God knows true justice and I don’t. I can’t handle the thought of it, if I dwell on it too long, but I can rest by trusting that His wisdom, justice and goodness can not be but infinitely greater than any of my best sensibilities. It is the height of arrogance and completely illogical that the created should consider himself superior, in morality, justice, or compassion, to the source of all good things. Where would we have gotten such sensibilities? Did we somehow evolve to surpass Him with ideas that come from…. apparently nowhere. Thus, in my emotional inability to deal with hell I must be wrong, either on the facts of hell, or on the nature of justice, or on the extent of human sin and the extent of the need for punishment, not just correction. The first prospect seeming to be raised here, if the Bible teaches universalism or annhilism, or something like a slow fading to nothingness, I’d like to see a rigorous account of it through the scriptures, as well as handling of all of the scriptures that easily read as eternal conscious torment. I don’t know many people who love the idea of their fellowman going to hell, and for me at least, that is not why I believe in it. It just seems to be the most direct and least convaluted reading of scriptures. What I sense around me, as a Dutchman, is that we highly focus on Jesus his offer for us. His offer as our ticket to the father / heaven, which saves us from tornment in hell. In the conversations I have with others about heaven and hell there is one thing that fascinates me. If I raise questions about the excistens of hell (as a place where people go to and burn forever, fade away, etc), there is always this one question in reply. What is the offer of Jesus worth if there is no such thing as hell? Father, do you have any thoughts on this question / issue? I am told that Jesus made more references to hell than to heaven. Clearly He is warning us. It is impossible for me to read the Scripture and get true universalism out of it. Yet, the lake of fire is not prepared for us but for Satan and his angels. We are not destined to hell. Some will remain in outer darkness weeping and gnashing their teeth. The rest is speculation except that we are not “sinners in the hand of an angry God”. His love and mercy exceed anything we can imagine. By the Incarnation He has taken on all of our suffering. I For 3:12 gives great hope. To use a metaphor coined by Fr. John Behr, Pascha is a pure, white (and ordinarily) unseen light that only becomes visible “after” it passes through the prism of Church. In this way the created and uncreated universe is recapitulated in the Person of the Father, through the Holy Spirit (blessed be He) and in the hypostasis of Christ, the eternal and Incarnate Logos. The consubstantial and indivisible God also becomes the visible God at Pascha. The quote below is taken directly from the Antiochian Archdiocese website. Interestingly, the first line seems to answer the question posted in the title of this blog post. HELL, unpopular as it is among modern people, is real. 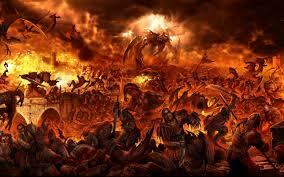 The Orthodox Church understands hell as a place of eternal torment for those who willfully reject the grace of God. Our Lord once said, “If your hand causes you to sin, cut it off. It is better for you to enter into life maimed, rather than having two hands, to go to hell, into the fire that shall never be quenched­ where `Their worm does not die, and the fire is not quenched’ ” (Mark 9:43, 44). He challenged the reli­gious hypocrites with the question: “How can you es­cape the condemnation of hell?” (Matthew 23:33). His answer is, “God did not send His Son into the world to condemn the world, but that the world through Him might be saved” (John 3:17). There is a Day of Judg­ment coming, and there is a place of punishment for those who have hardened their hearts against God. It does make a difference how we live this life. Those who of their own free will reject the grace and mercy of God must forever bear the consequences of that choice. If I may: As anyone can quote (or misquote) scripture (cf. Matt 4:3), the Church wisely decided to communicate her eternal glories through the divine liturgy…. P.S. Wonderful icon Fr. Stephen and so right that it should be “read” on Sunday of the Second Coming! Some people won’t make it. Elder Paisos says much the same thing. There are he says, only two kinds of people. The first are like flies, who by nature only recognise corruption and filth, though they be in paradise. Then there are the bees, who, though surrounded by filth will only ever tell you where the flowers and sweet things are. These are the ones who know just the good. They are ignorant of evil (cf. Wisdom 1:3, Matt 18:1-3). It is, as Fr Stephen and the Church Fathers teach, a matter of ontology. Being vs. non-being — Is non-being a possible choice someone can make? It does not sound that way in light of the statement: “For those who love God, His fire is light and life, purification and all good things. For those who hate God, His fire is torment, though it be love.” The choice of non-being is not one we can make. We can make a choice regarding the condition of our eternal in-being. Real vs. unreal — Truth is real. Untruth is delusion. It too is real but the delusional version of real. That then would be the unreality of sin and the unreal character of “eternal death.” Eternal death is not death but broken life. My comment at 5:45pm is in response to Lazarus. Of course, truth is a capital “T” and is a person not a concept. Got it. But that begs the point if I may be so bold. Hell is not “non-being” relationally speaking. It is a condition of relationship and therefore a state of “being.” So Hell is real in that sense. The non-reality of Hell is the “non-Truth” of it in the sense of Truth as personhood in The Truth the person of Christ Jesus. I’ve eliminated some of the comments since they seemed to be beside the point. Non-being is a choice we can make, but not an actuality we can cause. Being is not something we create either – it is the gift of God. We can embrace it (paradise) or reject it (hell). But we are real (our existence is real). Heaven, paradise is the real Real, Being, known and participated in as a fullness. Hell is an ongoing effort not to participate in the fullness of Being (life) in God. As such, it describes us, but not a “something else.” But there is not much language for these sorts of things. We use metaphors and images as the best way we can describe or convey these things. The weakness in the use of this imagery is the tendency to objectify these things. The objectifying of these things can tend to make people reach wrong conclusions. One of those is to see hell as extrinsic to us – something we are sentenced to with problems of justice, etc. Equally problematic is to objectify heaven – making it similar to our empty, secularized experience of the world, only much better. Cute. But it doesn’t preach. My understanding is that we as Orthodox Christians do not believe in “hell”. Hell or Hel is a Norse goddes of the underworld. The bible speaks of Hades and Gahenna. Hades is the place of the dead consisting of positively paradise or elysian fields or the embrace of Abraham, and negatively tartarus or the abyss. After the return of Christ, the devil, the beast, the prophet of the beast, death and hades are cast into Gahenna. No one else is named as going there. I think if we keep the terms straight, we get rid of a lot of error. Dean, that is what I mean, no one else is named as being cast into Gahenna. I think we cannot and do not know. We have to trust in God’s mercy. Also a lot of evil is created by people who think they know who will or will not be. @ Catholic Facing East, if you don’t like the quote, then I would advise you to take that up wtih Metropolitan Philip. For anyone interested, the most complete treatment of Hades, Hell, Gehenna, etc. from an Orthodox perspective is Met. Hilarion Alfeyev’s Christ the Conqueror of Hell: The Descent into Hades from an Orthodox Perspective. His title is quite revealing. English-speaking Orthodoxy does not make much distinction in the words for Hell, Hades, Gehenna in actual usage or doctrine. Frequently they are treated rather interchangeably. Christ enters whatever you call it to get us out. If human beings can go there, then He is there. One of the difficulties about heaven/hell etc. in Orthodoxy is that this is not really much of an issue for us. It was a huge issue between Catholic and Protestant during the Reformation/Counter-Reformation, and so both tended to refine their readings and statements on these things. Orthodoxy didn’t have a dog in that fight, thus we never found it necessary or interesting to become quite so refined about these things. In fact, Orthodoxy is quite “sloppy” about all of this. If someone is in hell (whatever it is), we pray for them and tell stories from the lives of the saints about how it was revealed that so-and-so was released from hell through the prayers of St. so-and-so. Again, it’s doctrinally sloppy, but existentially compelling and centered convincingly on the certainty of Christ’s triumph. I think we have the better end of the deal. I also think that we do well to stay out of the West’s fights. What an Orthodox combination! Christ the Conqueror of Hell by Met. Alfeyev and Christ the Conqueror of Death by St. Nikolai. Father…thank you so much for your clear and concise writings. What you have written here and in other blogs have been of tremendous help to me. Coming from a fire and brimstone childhood upbringing I well remember the first time I heard the teaching on the river of fire flowing from Christ’s throne; the bedewing fire for the righteous and the scorching fire of His love for those rejecting that love. In that very instant I indeed felt bedewed by a renewed sense of God’s overwhelming mercy shown to us sinners…I being first. Father, I like your quote:” Christ enters whatever you call it to get us out. If human beings can go there, then He is there.” Maybe it’s better to keep things simple. Thank you. In order to live in heaven or hell eternally, we need eternal life. We cannot have eternal life without the Son (John 3:16). How can anybody exist forever without the source of existence that is God. St Athanasius of Alexandria was on the dot when He said that Incarnation took place to save us from drifting to non-existence or no being because we were created from nothing. Christ, through His Incarnation restores us to life/existence. Correction: Do we Orthodox believe in dualism. realism was wrong in my post. We do not believe in dualism. Whether Hell has an eternal quality to it, God alone knows. But, part of noting what we mean by a true existence – is to say there is no duality, or equivalence between heaven and hell. Hell is a movement – towards non-existence (we never just don’t exist). Heaven is an eternal movement towards God, ever more real, ever more true. At least that’s the way St. Gregory of Nyssa viewed it. Could you give me EXPLICIT teaching from the Bible as to such a perception as that given here by Athanasius? I’m concerned about what I perceive among Catholics, Protestants, and Evangelicals, as giving perceptions of what they hope hell might be (or become) and what will become of people who go there and…are consumed (burned up, gone, disappear). It’s as though in our minds we’ve made the assumption that eternal suffering for having rejected Christ and for the sins committed is FAR too unjust for such a “loving” God. Just out of curiosity, the word LOVE in the King James version appears 286 times from Genesis to Revelation. HOLY, though, appears 557 times! Is God maybe trying to tell us something, not that we’ve overestimated His love–God is love–but that we’ve downplayed his holiness. If “eternal” judgment for sin moves toward “non-being”, then in the end, it means we have no real concern about eternity or how we live now. The sinner will be a “non-being” after all. Forgive my boldness, but you misunderstand the Scriptures and their proper use. First, I suspect you misunderstand the verse regarding “call no man father,” but being a Protestant of some sort, you probably were taught the incorrect meaning of this verse. As to the “Holy” God and the “God as love.” There is no contradiction or balance in God. The holiness of God is love and not something different, though you seem to think they are. But again, it’s not your fault that you were taught improperly on these things. You asked for specific scriptures regarding the teaching of St. Athanasius – which again misunderstands the use of the Scriptures. A man, certainly a holy man, is able to reason based on certain givens without citing a specific scripture verse everything he says. Indeed, your insistence on having a verse in Scripture for this is itself a use and insistence on an idea that is itself reason-based and rooted in a Protestant “tradition” that is invented by men rather than revealed by God. But I think you don’t understand my article, which is either because I didn’t write it well (quite possible), or that the idea was new and different and therefore you reached wrong conclusions based on false assumptions (most likely), or something else. I do not say that Hell is “factual” or something like that. Rather that “being” and “non-being” have meanings that are far more important than most people think. “Moving towards non-being” would be one way of describing what sin is. When a person tells a lie, for example, that have moved towards non-being, made an alliance with something that isn’t real or true. It’s not just “morally” wrong (breaking a rule), we sin against the very gift of our existence when we lie. And if we keep lying, we will be moving in the direction of murdering the universe and ourselves (or “attempted” murder, since we cannot actually make anything not exist, including ourselves). The fire of such a movement is deeply tormenting. Or do you prefer to think of the fires of hell as burning our souls, or our resurrection bodies? Frankly this “God loves you, but He is so holy and righteous that He must burn you if you are not holy,” is a deeply flawed, even heretical belief. It is very common, and is taught because so many people have departed from the teachings of fathers of the faith and imagine that they can interpret the Scripture with no reference to them. There can be no “God loves you but…” All that means is that you think something is greater than God’s love. I have found over the years that it indicates a deep sickness in the human heart – we believe this “but” because there is darkness in our heart and we cannot see the light of God. Thus we introduce our own darkness into our understanding of God and pervert the Gospel. Fr. forgive me but I think you dismiss the heart of John’s question. As I see it, he us asking about the nature of the punishment which is vivid in the Bible. Granted his approach is flawed but I think his question is deeper and reflects the confusion people have about the nature of God’s “dread judgement seat”. As much as I love the “River of Fire” I think it can easily become too comfortable and risks trivializing the nature and reality of the judgement we have, are, and will face in the fullness of time, in our hearts now and at the hour of our death. I appreciate both John’s question, your response and our brother Michael Bauman’s. I think one of John’s fears may be that people can console themselves by thinking they’ll just “go out of existence” and that won’t be so bad. But, of course, in light of the Incarnation and Resurrection such non-existence isn’t going to happen, is it? An to Lazarus you said: “Non-being is a CHOICE we can make, but not an ACTUALITY we can CAUSE (empahses added). Being is not something we create either – it is the GIFT of God. WE CAN EMBRACE it (paradise) or REJECT it (hell). But we are real (our existence is real). “Heaven, paradise is the real–Real, Being, known and participated in as a fullness. Hell is an ongoing effort not to participate in the fullness of Being (life) in God. As such, it describes us, but not a “something else.” But there is not much language for these sorts of things. We use metaphors and images as the best way we can describe or convey these things. I don’t know if John saw these comments, but they spoke to me. I think he just wants to make sure that what we Orthodox teach is not something at odds with our Lord’s own teachings–and some of the language He uses and which the Evangelists report. Thank you for putting such time, thought and energy into this blog. Many souls are being saved and hearts turned by what is expressed here day after day. Christ is in our midst and making His presence felt. I recently read a book titled, “Held By The Hand Of God: Why Am I Alive” by Joe Laws http://heldbythehandofgod.com/. One thing I learned by reading about his NDE as well as some of the other NDE stories I have read, is that by doing good in life, we will be rewarded in our afterlife, and vise-versa for those who don’t. Well said. It is true we can be more focused on ‘hell’ than the light of Heaven. Although I do know people who don’t believe that hell is a real place, which makes them doubt Heaven even more. But by presenting the light to them I believe will open their eyes to the truth. Thank you for the thoughtful post. I will check out your book recommend as well, Betty. Thank you for sharing. Would you give the me permission to distribute this excellent article in Mexico? I am a deacon of the OCA , living in Cuernavaca and serving in our cathedral in Mexico City. Would you give the me permission to distribute this excellent article in Mexico? I am a deacon of the OCA , living in Cuernavaca and serving in our cathedral in Mexico City. I have translated it into Spanish. My name is Jp Esnouf from South Africa. You are the first Orthodox Christian I have heard of and I’m busy going through your blog posts and teachings – I’m hooked! There is something about the Old School [Orthodox] that scares me and excites me at the same time. I have been saved for about 18 years now and have been in a few churches/denominations and never heard of Orthodox Christians – or maybe I have but due to bad teachings just ignored anything that seems to have any form of religion or tradition. I don’t really know why I’m writing to you or if I have a question or a point. I guess I’m tired of all the overnight changes of the churches, all the opinions and cleaver methods of controlling people. The new revelations that are all basically old but preached like new truths or something – I’m sure you catch my drift. I have no idea who the Fathers of the Faith are!? I’m just curious/hungry/thirsty for Truth and tired of being scared to learn new things that might cause deception or religion in my life – at this stage I don’t really attend church anymore due to a constant feeling of pastors making servants for their ministries instead of sons. building church instead of body. Judgments and condemnation towards all who differ. If you could refer me some good books or teachings that you feel might get me on the right path for what I’m desiring it would be great! Welcome to Glory to God for All Things! It is wonderful that you found this blog…and it is wonderful that you were led to inquire about the Orthodox Faith! The height, depth, length and breadth of Orthodoxy will bless and keep you “hooked” for the rest of your life, not by coercion, but by the beauty and truth of it. 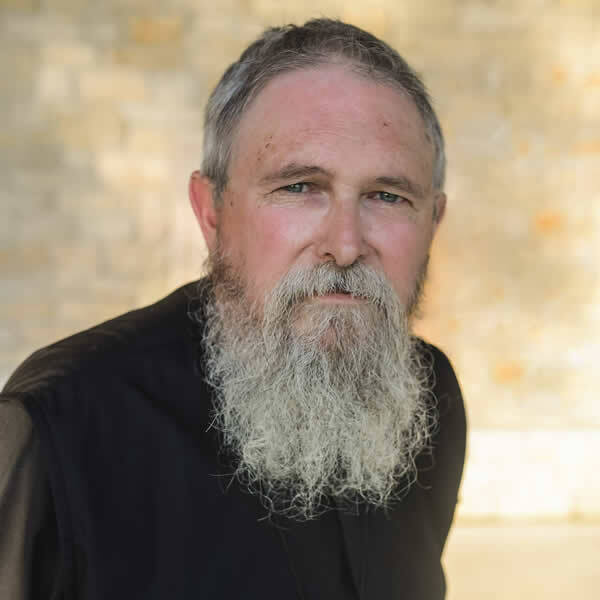 Father Stephen’s ministry here is a blessing beyond words. God has granted him the ability and the means to reach out to the world and speak about the Orthodox Way in such a way that us ‘moderns’ can understand. To answer your question on where to begin…well, you have begun in a very good place! There is a wealth of information on this blog. With specific topics you’d like to learn more about, use the tabs on top of the page, or the search bar to the right. There is a section where Fr. Hopko speaks about the Fathers of the Church. There is a lot of info online on the Fathers, about them, and their own writings. I suggest you take your time in the readings…absorb as much as you can. It is important to do this prayerfully. God will show you! One more thing…if and when you are ready, and if there is an Eastern Orthodox Church in your vicinity, it would be very helpful to go talk to the parish Priest. Or you can go to a service, then talk. I warn you though…the hook will go deeper, Jp!! There is no describing what you will experience at the Divine Liturgy…it is truly Heaven on Earth! May I add…I was “hooked” three years ago…like you. didn’t know what Orthodoxy was. Each person’s experience with Orthodoxy may differ in some details…some may have to “chew on it” for a while, where others may know immediately they have found their home. Then there’s the range in-between. No matter. You give your heart and trust to the Lord and He will guide you. Don’t be disturbed by any bumps you may encounter. That happens. And no matter where you find yourself in your life’s journey, know that God is with you and all that you encounter is meant for your salvation. The fullness of God’s blessings to you, Jp! Thank you Paula for the encouraging reply! I did not realize my email would feature on this page – meaning it doesn’t really relate to the topic of the chat, apologies to anyone finding it non-relevant I thought my email would go to a separate section or something. I will check out all the info and books you proposed…thank you! Is there another email address or blog i can write to for questions not relating to this topic? Just general questions that i have and might have in future regaring Orthodox Christianity? I highly doubt there is any Orthodox churches near where i live. Really nice to hear back from you Jp! Yes, your comment will always show on the page in which you post a comment/question, even if it is an older post. This is ok.
Aside from your parish Priest (which is not an option for you at this time), at this stage of the game I hesitate to refer you anywhere else. Not that there isn’t other places to pose questions online. But out of the number of Orthodox websites that are online (there are many! ), Father Stephen’s is one of the “safest”. And he has offered in the past the same invitation to contact him via email. He speaks the truth, even on the difficult topics, and does so where it is very peaceable…easily intreated. 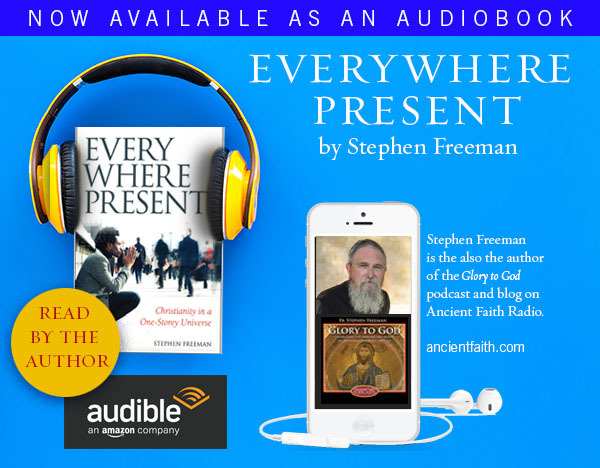 Go to the top of the page and click on Ancient Faith Ministries (blue print) and do a search for Father Stephen Freeman. They do offer the email addresses of the clergy and laypeople that have blogs on AFR. And btw, although it may sound like I am partial to Fr. Stephen (I am!) don’t hesitate to check out the other Ancient Faith blogs, podcasts, etc. AFR is most definitely one of the “safe” Orthodox places online. I’m sure he would be happy to correspond by email with you, or speak with you in person if you’re nearby. Do keep reading this blog, glory2god; there is much here that is good, as you have discovered. Thank you Paula and Dana! I do feel the thirst for truth growing when i read through Fr. Stephens posts and understand why you recommend him so highly. Thank you for all the other info. Dana i will definitely get in contact with Stephen Hayes thank you for the reference.